Amriki in a March 2012 cry for help. For background on Hammami, see here. 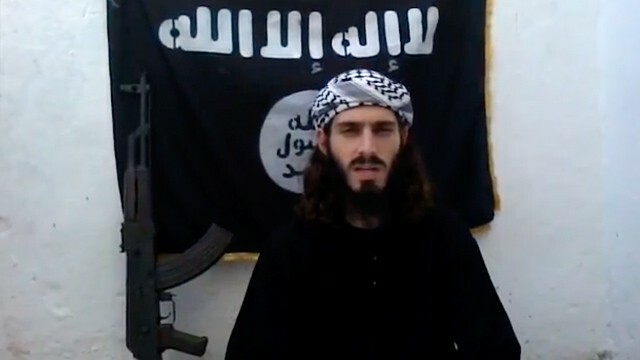 Al-Shabaab’s most prominent American fighter Abu Mansur al-Amriki, aka Omar Hammami, has been in a tenuous state in the group since releasing a March 2012 video stating his life was in danger due to differences with leaders. He also has issued several public criticisms of the group. 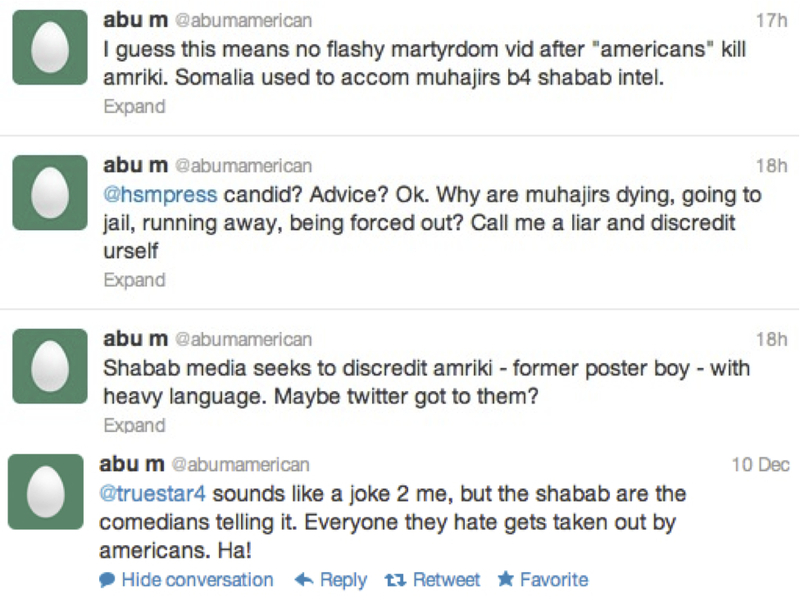 Most recently, Hammami’s twitter account released a biting response to al-Shabaab’s public rebuke of the embattled American. Just days earlier, al-Shabaab released a communiqué to address the state of Hammami. The media’s scrutiny of the growing tensions between local and foreign leaders in al-Shabaab clearly ruffled the feathers of the group’s leadership and caused many foreigners to flee Somalia for other Jihadi playgrounds, such as southern Yemen. Al-Shabaab’s statement was intended to clarify the situation in order to retain the support of foreign fighters, but it likely will do the opposite. Thus, Hammami’s fate will be highly scrutinized both by counter-terrorism observers and Jihadists. Al-Shabaab did not explicitly describe what the fate of Hammami would be. But members found guilty of similar charges have ended up reading their crimes in front of a video camera before their eventual execution (See the video [at minute 3:20] of Ahmed Keyse, an accused CIA spy in al-Shabaab, reading his crimes). Another interesting point concerns how Hammami–if it is him indeed tweeting–regained access to the Internet after it was revoked in response to his renegade behavior. Equally fascinating, the tweets indicate no attempt at polite clarification or attempted reconciliation, and rather a willful disdain for al-Shabaab leadership. This implies the American has little to lose in his current state. Hammami stated in his biography that he missed Chinese take-out from the U.S., but chose to die as a “martyr” in Somalia. It seems that Hammami may get his wish.